Five years ago today, Curiosity landed on Mars. As a few of you might remember, my first interview on this blog was with my amazing sister-in-law, Joy Crisp. 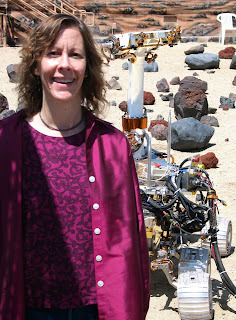 Joy is Project Scientist for the Mars Exploration Rover Mission. Here is a quick throwback to that original interview. I have always been inspired by people who follow their dreams. Today, I’m so excited to introduce a woman I have been in awe with for years. Dr. Joy Crisp, the Mars Science Laboratory Deputy Project Scientist, is here to share with us how she learned to dream, and how her dreams led her to Mars. Joy, I know that since the new Mars rover Curiosity’s landing in August, you have been living on Mars time. I can’t thank you enough for taking time out of your crazy schedule to share what keeps your dream alive and how you handle the constant ups and downs. I received a bachelor's degree in Geology from Carleton College in Minnesota and a PhD in Geology from Princeton University. My scientific expertise is in the mineralogy and formation of volcanic rocks on Earth and Mars. 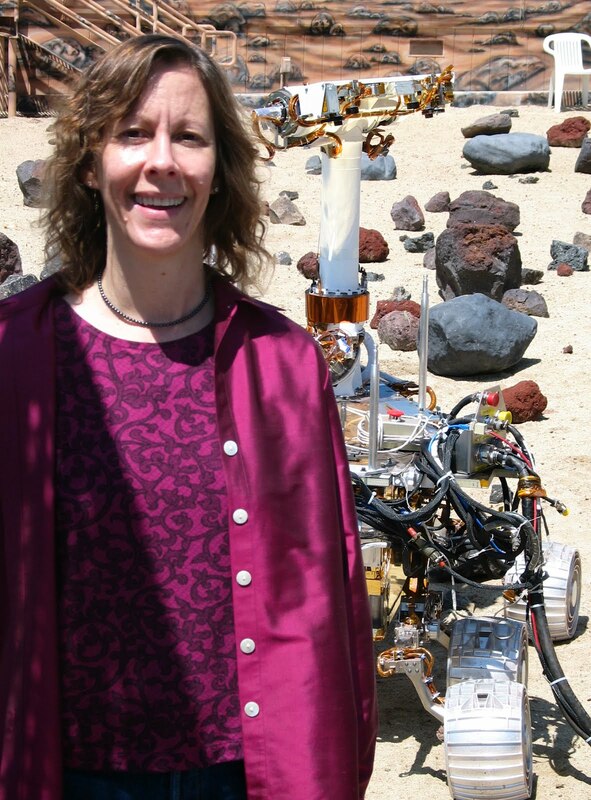 I have been a scientist at the NASA Jet Propulsion Laboratory since 1987, carrying out NASA-funded research on volcanic eruption clouds and lava flows on Earth and Mars. For the Mars Pathfinder Project, I was the Assistant Rover Scientist and Alpha Proton X-ray Spectrometer Investigation Scientist. After that, I was the Mars Exploration Rover Project Scientist for the Spirit and Opportunity rovers for six years. 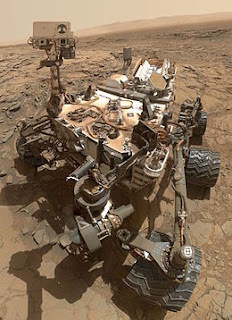 In my current job as Mars Science Laboratory Deputy Project Scientist since 2005, I have worked to maintain the science integrity of the mission and to prepare for and carry out science operations for the Curiosity rover on Mars. 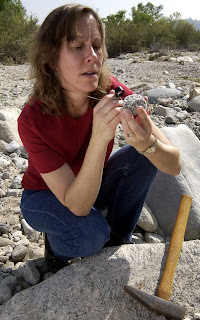 What inspires me to dream is being a “rock detective.” I like trying to figure out how rocks formed by studying and interpreting the clues revealed by textures, mineralogy, chemistry, and the local geology. The rover missions on Mars have allowed us to answer a lot of questions about what Mars was like in the past, and have also taken us to the next level of interesting questions for us to ponder. To be on the very edge of these discoveries, and to see the detective work as it unfolds, is awesome and exciting. I am also jazzed that kids and people in the general public find the rover missions interesting and that it inspires kids to be more interested in science and engineering. I’ve never come to a complete dead stop. But my work on the Mars missions has been a never-ending cycle of encountering problems and either overcoming them, working around them, or accepting them and resetting expectations. The problems span a wide range of things that the whole team faces: tight schedule constraints, budget issues, technical challenges, complexity challenges, and new bureaucratic challenges! What keeps me going is seeing new pictures come down from Mars with amazing surprises and hearing about new things the science team is figuring out. When working on a Mars rover mission that is years in the making, before it gets to Mars, the dream stays alive with the realization of how exciting it will be when the rover finally gets there. It also helps that a whole team works through the problems together. The wide variety of people helps bring different ideas, attitudes, and team spirit into the mix and strengthens our ability to get through it. When each of the rover missions have landed successfully on Mars (Sojourner, Spirit, Opportunity, and Curiosity), I felt a huge sense of relief and happiness, but also realized my life was about to change tremendously once again as my workday life suddenly changed from planning and preparing for a mission to actually carrying out a mission. Each mission has been more difficult than the previous one so the psychological and scientific payoff keeps increasing. It made all that hard work leading up to the success feel worth it. And it makes me really proud of the team – that we pulled it off. My current dream (which I share with the whole science and engineering team) is that we are able to use the Curiosity rover to its fullest and make it all the way over to Mount Sharp. We won’t know what discoveries will be in store for us until we get there, but the pictures taken from about 5 miles away are stunning! I want to help enable the science team to get the most out of the mission we can, and participate in the learning. Joy sent me two new outreach products that I thought you might enjoy. If you are an educator, you really want to check this out. Amazing information to use in your classroom. potential to support life. Take a tour of its landing site, Gale Crater. If you have any questions for Joy, please feel free to post them in the comment section before or shoot me a email, nancy@nancycweeks.com. You can keep up with Joy and the Mars Rover project HERE.